F-16 Fighting Falcon. Image Credit: CC by Airman Magazine/U.S. Air Force/Flickr. Taiwan’s defence planners are in a precarious position. Modernization of the PLA has irreversibly tilted the qualitative edge towards Beijing, and Taiwan lacks the wherewithal to engage in an arms race with its powerful neighbour, who happens to claim Taiwan as part of its territory. Perhaps the only way out is to redirect efforts towards asymmetrical platforms: Taiwan needs to mount anti-access/area-denial (A2AD) capability on its own. Yet compromising the combat effectiveness of the Air Force (ROCAF) is not the answer. 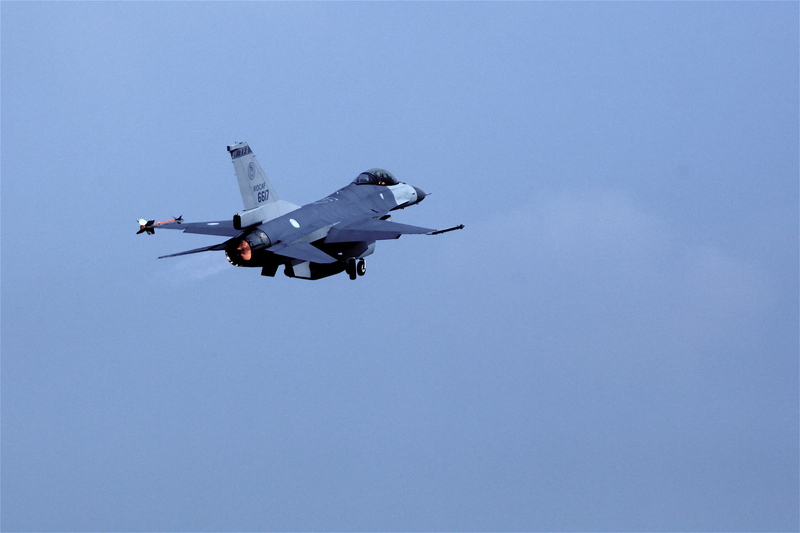 A suggestion to scrap the much needed upgrades to Taiwan’s standing fleet of F-16s without augmenting its existing force structure, as proposed in The Diplomat in an otherwise thoughtful piece by Van Jackson, means just that. Granted, Jackson is absolutely correct in identifying A2AD as the desirable direction, and Taiwan has already taken notice. Other experts, such as James R. Holmes or Ian Easton have argued for incorporating A2AD platforms into Taiwan’s defence posture. Jackson’s proposition would fit well into the “porcupine strategy”proposed by US Naval War College Professor William S. Murray in 2008, who also recommended scrapping high-level expensive acquisitions and proceeding with affordable investments to enhance survivability. One of the authors of this piece has similarly advocated for Taiwan’s A2AD approach elsewhere. However, “going asymmetrical” must accommodate and use existing assets. An active fighter complement has its unique role in both peace and war, and while the ROCAF would not be able to maintain Defensive Air Superiority (DAS) even under ideal conditions, it does contribute to the goal of building-up “resolute defense and credible deterrence” as stressed in Taiwan’s defensive-oriented military policy. Obviously, Taiwan’s defense cannot voluntarily vacate the sky before shots are fired. As long as the People’s Liberation Army Air Force (PLAAF) must deal with the ROCAF, it cannot direct resources elsewhere (i.e. against land and sea based A2AD assets, for example). Thus, discontinuing upgrades and never proceeding with the sale of new fighter jets would effectively degrade the ROCAF into a mere peace time air policing force. That in turn would undermine Taiwan’s emerging A2AD infrastructure. The current ROCAF inventory consists of a fleet of 150 F-16A/B Block 20s approved by the first Bush administration in 1992, complemented by a fleet of 50+ Mirage 2000-5Di/Eis acquired from France in 1992, 126 indigenous F-CK-1 C/Ds, and a fleet of old F-5E/Fs. The F-16C/D Block 50/52s were not meant to be a temporary solution to attain qualitative parity with the PLAAF. 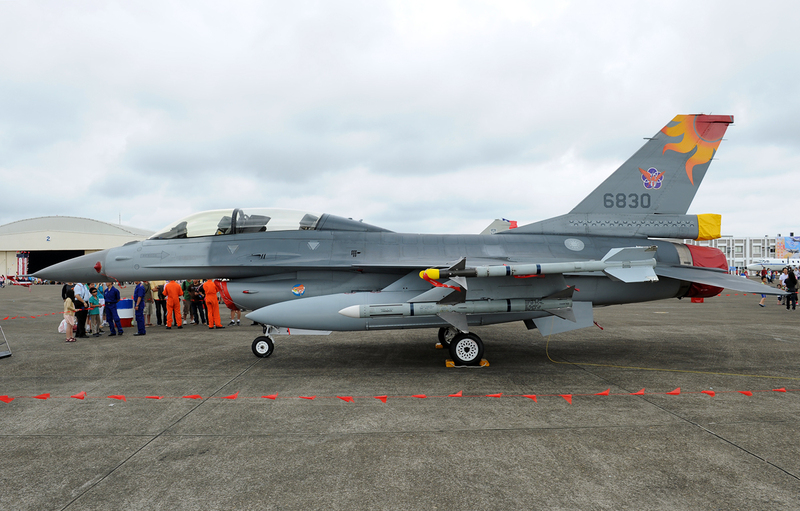 Instead, the ROCAF sought to retire the aging and dangerously accident-prone F-5s, and replace them with part of the F-CK-1 fleet (and dedicate the other half to ground attack missions).The new F-16C/Ds would then take over the air defense roles and be based in Taichung. ROCAF F-16A Fighting Falcon. Image Credit: CC by Al Jazeera/Wikimedia Commons. In contesting air superiority under defensive conditions, one needs to maintain a larger fleet of active fighters distributed over as many areas as possible. Countering the strategic and tactical initiative that the PLAAF enjoys would inevitably entail severe combat attrition. The ROCAF has already made a significant investment in relevant infrastructure, including hardened aircraft shelters, rapid runway repair capability, and contingency runways. Relegating F-CK-1s to training and ground attack duties without a replacement dedicated to air defense represents an unacceptable change in total force structure. Unique conditions in the skies over the Taiwan Strait and deployment of advanced air defense assets on both sides mean that any aerial engagement will quickly deteriorate into close quarter combat. ROCAF pilots, who have above-NATO average of 180 hours training per year, would likely more than make up the minor qualitative differences in the performance of the F-16 and the J-11. The ultimate goal of the ROCAF would be to prevent the PLAAF from prosecuting operations against ground and maritime assets, while turning the contest into a war of slow attrition, buying Taiwan the time it needs for reinforcements. 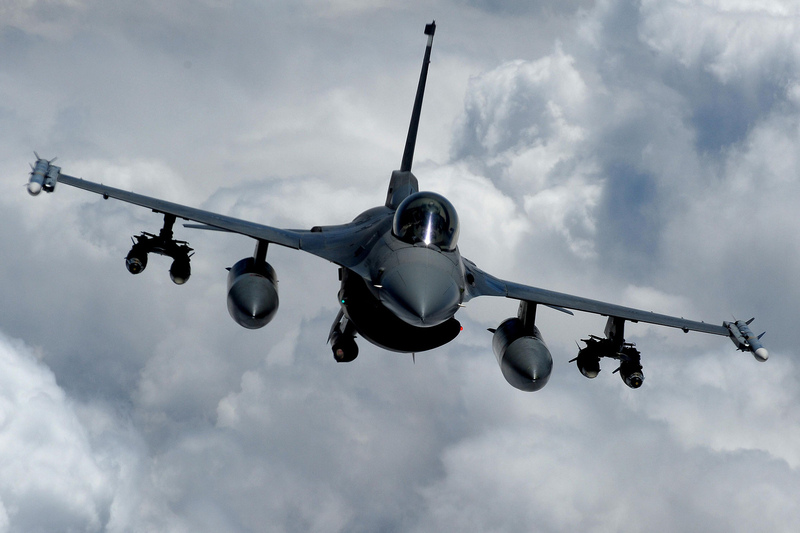 The upgrade program for the F-16A/B to USAF CAPES standards would secure that capability. A sufficient active fighter complement is also the only way to effectively and economically counter stand-off weaponry while dealing with threat from the sea in an asymmetrical manner. Full text of this piece was published in The Diplomat on 13 April, 2015. *Liao Yen-Fan is Taipei-based defense analyst specializing in airpower and Taiwanese military. He can be reached for comment at charlie_1701@msn.com. ROCAF F-16B Fighting Falcon. Image Credit: CC by Toshiro Aoki (www.jp-spotters.com)/Wikimedia Commons.